LARGE DISC, MEGA POWER, MAXIMUM FREEDOM. 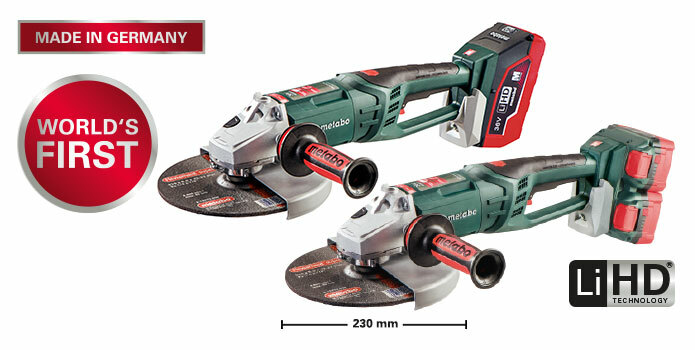 New version: 36 Volt cordless angle grinder powered by 2x18 Volt packs. 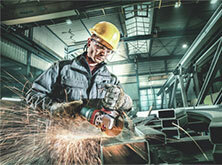 As powerful as a 2,400 Watt mains-powered machine. 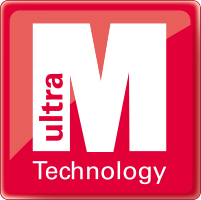 Ultimate freedom thanks to revolutionary LiHD battery pack technology. 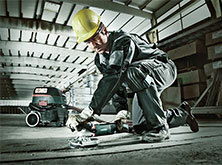 Most accidents with angle grinders are caused by loss of control. 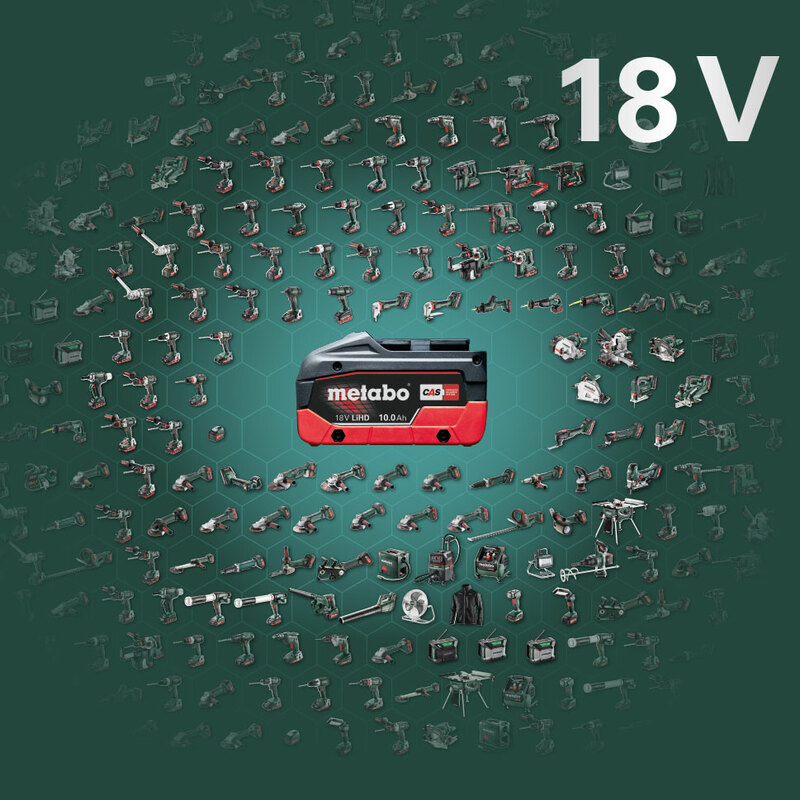 Metabo focuses on prevention with numerous safety functions. Passes any endurance test in professional use! 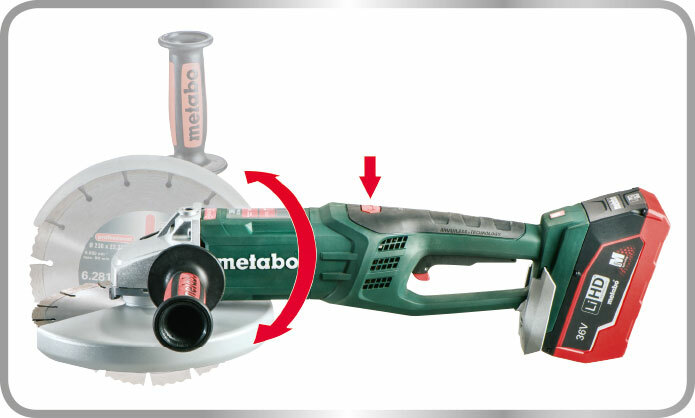 Here you can download the Metabo brochure "36 Volt Cordless Angle Grinder" (3MB).